Three people have been arrested and charged. After recent violence in Calgary's northeast, police launched an investigation into the fencing of stolen property for drugs — resulting in the seizure of more than 200 weapons, stolen property and cash from one home. Police executed a search warrant on the home on Oct. 1, following a probe of the property that dated back to August, according to a news release. Three people — Tanner Ray Lang, 32, Jan-Anne Marie August, 34, and Mark Lee Gardner, 41 — have been charged in connection with the operation. Each faces charges relating to stolen property, drugs and weapons offences. Various amounts of marijuana and cocaine. It took the officers nearly a week to catalog the items, due to the large quantity. Officers believe the location was being used as a "fence house," where the suspects may have traded the stolen property for narcotics. 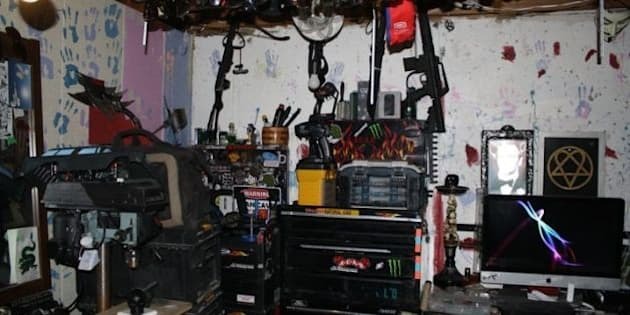 It's the second major seizure of stolen property this month, after police laid nearly 70 charges against two suspects in multiple break and enters around southern Alberta. On Sept. 8, officers seized over 400 stolen items from a southeast Calgary home, including jewelry, military medals, safes, firearms, fentanyl and heroin. Kelly John Wills, 33, and Randy James Lorrain, 32, were charged in that case. Officers have now begun what they say will be a "long and arduous process" of returning the stolen items to their owners.